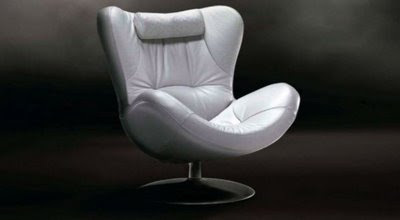 Natuzzi Sound Chair is a cool comfortable egg shaped luxury seating furniture that build in with internal Audio System to enjoy your favorite beats from your iPod or any MP3 player that you have. 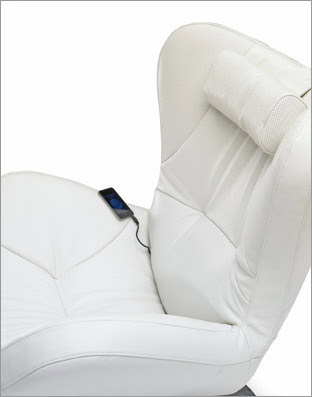 The Natuzzi Sound Chair design offers unparalleled sensory comfort with the best in design. The hi-tech sofa boasts a high-quality leather finish with a mind-boggling array of leather types and colors to match your décor. Natuzzi is the world leader in leather upholstery, but now classic designer skills meet new technologies in new sound chair. The price for the chair is around 2000 euro. Find other great products on Natuzzi website.